That’s right. I’ve got a new book coming out in a few short days. 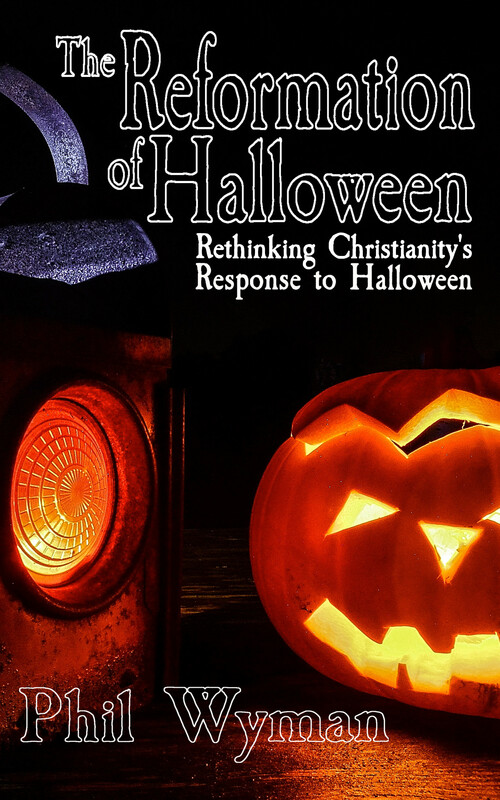 On October 1st, The Reformation of Halloween: rethinking Christianity’s response to Halloween is coming out. This is a topic I am passionate about, and it’s fair enough to say that I probably have more experience with missional activity on Halloween than anyone in history. After 19 years living in Salem, and working with teams of people on the streets of our month-long Halloween experience with its million visitors, I have seen more Halloween outreach than you can imagine, and I have the stories to go with it. Join me on a journey of discovering how Halloween holds a key to reaching our culture, and communicating gracefully and relevantly to our culture, and its second largest holiday of the year. Halloween has presented a difficult challenge for Churches and Christians over the last 50 to 60 years. It has often been described as an ancient occult holiday celebrated by modern evil-doing Witches, Pagans, and Satanists. It has been avoided, protested, prayed against, and denounced, and meanwhile it has grown to become the second largest holiday in American culture. The Reformation of Halloween rethinks Christian involvement with the holiday by seeing it as an opportunity for the Gospel. Living in Salem, Massachusetts with its thirty-one days of Halloween each year, Pastor Phil Wyman has experienced the equivalent of almost 600 Halloweens, and has used the day as a launchpad for Christian mission. The Reformation of Halloween reimagines the holiday as the best season of the year for missional engagement. The horror themes found in the films, stories, and costuming are seen in the light of biblical truth. Topics normally evaded by postmodern culture are celebrated once year by rapidly growing numbers of people, and are described in their biblical themes. Stories from nineteen years of public ministry on the streets of Salem during the month of October highlight the transformational power of taking the Gospel into carnival settings. This is more than a theoretical book on reimagining Halloween for the Churches and Christians; it is filled with evidence that Halloween is one of the most open days of the year for those who would learn how to have fun and share both the love and the hard truths of scripture in dialogical and creative ways. If you’ve wondered how Halloween might become a season of opportunity for touching our world with the love of God, The Reformation of Halloween will give you insight to a phenomenon that has touched one of the largest Halloween events in the world since 1999, and is beginning to reach into the rest of the globe.